Bus rapid transit (BRT) in Belo Horizonte. Photo by Luisa Zottis/WRI Brasil Sustainable Cities. Assess and measure to collect accurate data and information. 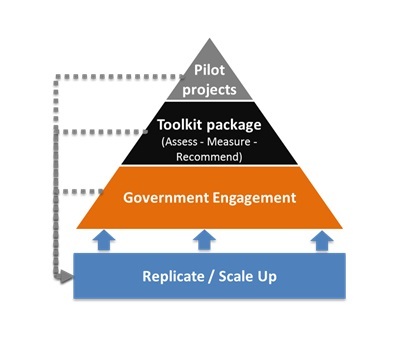 Use pilot projects to experiment with new solutions. Scale up to other cities or regions.